boom valve, flow control, and operation of gasoline engine. Boom Assembly: Booms can be rotated for desired nozzle position relative to airflow across orifices. Cyclic Control: Allows pilot control of pumps, boom valve, flow control and operation of gasoline engine. 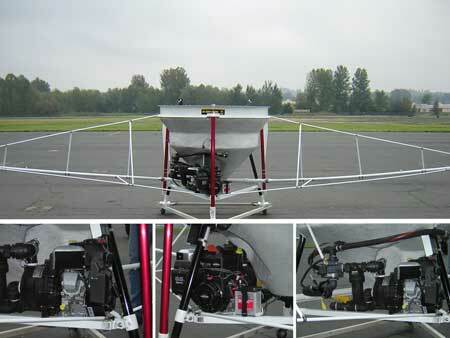 Power Supply: Standard 6.5 HP 4-cycle gasoline engine (optional 24VDC electric motor powered by helicopter).